It will never be Must See TV. That has been decided. But the cast and crew and fans and everyone remotely associated with NBC’s ill-fated vet-com Animal Practice should take heart in knowing that the show has joined a much more prestigious and spiritually significant television category: TV shows with Auburn-won Iron Bowls playing in the background. Animal Practice was cancelled a month ago. This was the show’s final episode. It didn’t even air, this was a purely HULU deal. So we won the Beat Bama Food Drive and the final scene of a cancelled show’s final un-aired episode is a monkey watching Auburn beat Bama in the Iron Bowl. 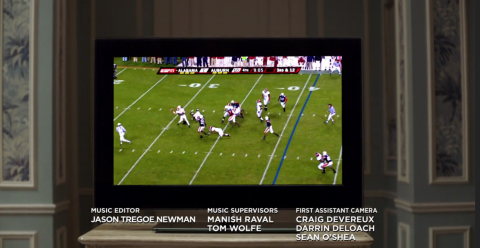 Related: Mystery Auburn football game playing in background of ABC’s Body of Proof. * Auburn fans at ’73 Georgia game unwitting extras in 70′s exploitation flick?